Trial skills must be developed in tandem with maintaining a strong body and calm mind | Jon Katz, P.C. For over a dozen years, I have studied, practiced, and applied t’ai chi to my life and practice of law, as explained here, here ,and here. A good friend once told me one of his friends overheard me talking about t’ai chi at a Taco Bell. His friend chuckled about my being into so much "Asian" stuff when I am not myself Asian. That’s like saying that only Japanese people can enjoy and appreciate Japanese directorial legend Akira Kurosawa, who directed from a worldwide perspective, and had a worldwide audience and universal messages in mind with his films. The late t’ai chi megamaster Cheng Man Ch’ing was committed to the worldwide quality teaching and learning of t’ai chi. He took a major step in doing so in the 1950’s, when he accepted Taiwan-based Robert Smith — then with the CIA — as his first Western student. He took a greater leap teaching even more Western students when he opened and was resident at a t’ai chi school in Manhattan starting in the 1960’s. Many of his Manhattan students went on to become great teachers in their own rite after the passing of Professor Cheng in 1975. Some authors are so great that it is worth learning the writer’s language to better understand his or her works without having the translator as an intermediary. Learning and practicing French and Spanish for many years has been demanding enough that I am not about to study another language for such a purpose. Fortunately, Professor Cheng found the time in the late 1940’s to write a book on the thirty-seven posture t’ai chi form that he shortened from the form he learned from legendary Yang Cheng-fu. This essential t’ai chi book — Cheng Tzu’s Thirteen Treatises on T’ai Chi Ch’uan — stayed untranslated from Chinese to English for around thirty-five years, until Professor Cheng’s senior student Benjamin Pang-jeng Lo and t’ai chi teacher Martin Inn, who is a good friend of Master Lo, translated Cheng Tzu’s Thirteen Treatises The pair were also involved in translating The Essence of T’ai Chi Ch’uan in the 1970’s. As a result, a particularly reliable translation of Cheng Tzu’s Thirteen Treatises is available to English-language readers, based on Ben Lo’s devotion to t’ai chi and Professor Cheng and his living t’ai chi every moment of the day for sixty years. Recently I pulled the following three essential books that had been in storage for over three years, which is much too long: Cheng Tzu’s Thirteen Treatises, T’ai Chi Ch’uan Ta Wen (translated by Benjamin Lo and Robert Smith), There are No Secrets: Professor Cheng Man ch’ing and his Tai Chi Chuan, and Samuel Griffith’s highly acclaimed translation of Sun Tzu’s The Art of War. I have yet to finish reading all of them except for Wolfe Lowenthal’s excellent book, who’s other writings and website are linked here. – When Professor Cheng started studying t’ai chi with Yang Cheng-fu, Cheng’s body was very weak. He studied t’ai chi for six years with Master Yang, achieving a healthy and strong body. Remarkably, very few Chinese people practiced t’ai chi at the time. In any event, Min Hsiao-chi writes of Professor Cheng’s fearlessness of danger. For instance, in the mountains one day, he calmly encountered a tiger. 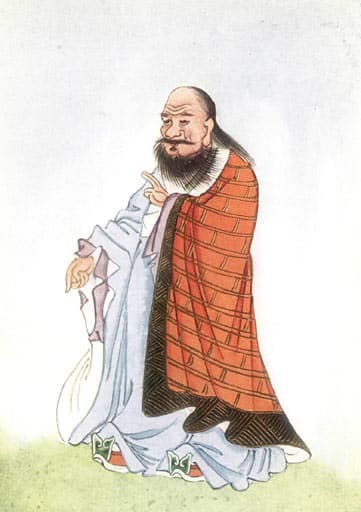 – The title Cheng Tzu’s Thirteen Treatises is intentionally similar to the alternative title of Sun Tzu’s Art of War, which is Sun Tzu’s Thirteen Treatises. – Professor Cheng, a master of Chinese medicine, believed t’ai chi could prevent disease in the first place. This last point, about t’ai chi as preventive medicine, is very relevant to trial lawyers. The times are countless when I have worked very long days in trial preceded by trial preparation and followed by meeting my client and witnesses, and dealing with staff. Practicing t’ai chi upon rising and close to going to sleep helps me to remain feeling calm, comfortable and healthy even when in dusty, drafty, and otherwise-uninviting courtrooms, jails, and investigation scenes. Of course, vigorous exercise is also very beneficial. For that, I bike and run, currently doing more running than biking. It seems that reliable studies show all the more that getting less than seven hours of sleep nightly is too risky, thus requiring me to adjust from the days when sleep deprivation was a part of my life every few months or more. Finally, whether or not food is medicine, everything we eat, breathe, and otherwise ingest does affect how healthily our bodies function. Pepperoni, cheese doodles, and double-fudge ice cream will take a toll on the body. Cheng Man Ch’ing believed strongly that even having the most advanced weapons is like having no weapons at all if an army’s soldiers are not physically strong. The same goes with trial lawyering. Jon Katz.